This page shows the latest Halozyme Therapeutics news and features for those working in and with pharma, biotech and healthcare. Roche developed subcutaneous Herceptin using recombinant human hyaluronidase technology developed by US-based biopharma company Halozyme Therapeutics. 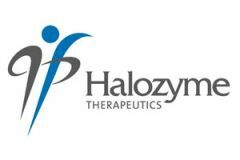 Halozyme receives $9m upfront and up to $54m in development and regulatory milestones. ... Commercialisation. 134. Halozyme Therapeutics/Intrexon Corp. rHuPH20 enzyme drug delivery. technology for COPD and genetic emphysema. He joins Spectrum from fellow US biotech Halozyme Therapeutics, where he served as VP and chief financial officer.